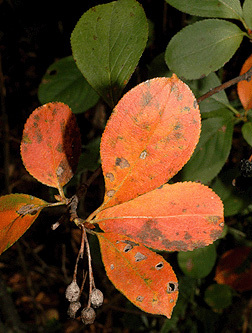 Leaf:Alternate, simple, elliptical to obovate, 1 to 3 inches long, finely serrated margins, shiny dark green above, midrib has stiff, raised dark glands on upper surface (may need a handlens), lacking pubescence below, orange-red fall color. 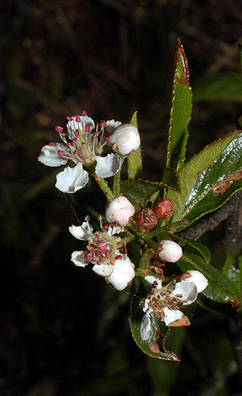 Flower:White, 5 petals, 1/2 inch across, dark anthers, occur in clusters at ends of twig, appearing in early summer. 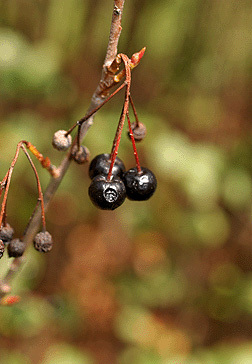 Fruit:Small pome, 1/4 inch, black and shiny, ripen in late summer to early fall, somewhat persistant. 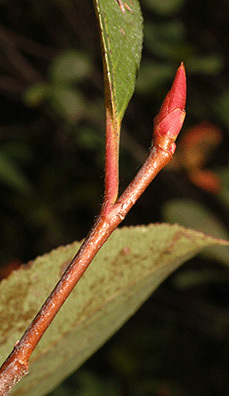 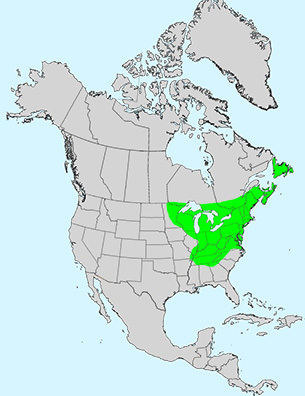 Twig:Slender, reddish brown, glabrous, terminal buds long, 1/3 to 1/2 inch (resembles serviceberry), leaf scars narrow. 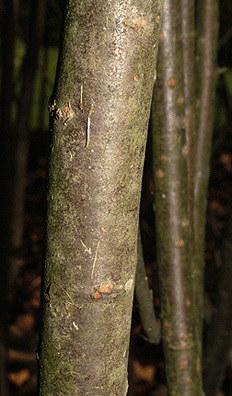 Bark:Reddish brown, smooth, lenticeled, developing diamond-shaped splits. 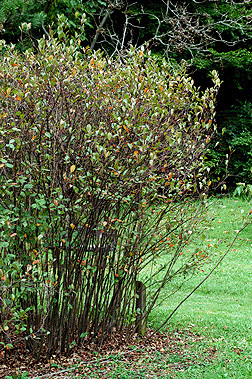 Form:Upright shrub to 10 feet, readily suckers and is often multi-stemmed.